Alsuper is the top online supermarket of the Dominican Republic. It was also the first successful online supermarket. With over 100K products it is a key case study of Latin American eCommerce. *ip created the original version of the site and launched it in 2010 to critical acclaim and instant success. To this day, Alsuper is the most successful eCommerce project of the Caribbean. After winning the Miss Universe Contest, Dominican Republic was tasked with the organization of its most anticipated event yet. Jordhy Ledesma was selected to craft Miss Universe Dominican Republic’s website in such a critical time and stayed with the event for four years to produce the most visited site in the D.R. multiple times. The Superintendence of Pensions website production by *ip is a major achievement in Latin American e-Government. This websites opens up more statistics, transparency related information and scholarly relevant information than any comparable website of the Latin American region. *ip is proud to have contributed to such a large scale project. Onapi is a leading agency in intellectual property registration in the Americas. A Presidential Medal of Quality recipient and Iberoamerican Prize for Quality recipient, Onapi has become a beacon of reference for all Latin American agencies that want to improve their patent registration processes. *ip designed two award-winning websites for Onapi, content management systems and designed the virtual office that processes over 120 million pesos in yearly registrations. Pizzarelli is the largest italian pizzeria chain of Dominican Republic. It is also home of the largest factory for any pizzeria in Latin America, and a brand that competes successfully with Pizza Hut, Domino’s Pizza, Sbarro and Papa Johns in its market. *ip has produced 12 web properties for Pizzarelli over the span of a decade, including multiple versions of its website. The showcased version led the fast-food industry in the D.R. by becoming the most visited website of its kind. We transformed WDALAW’s business to include digital channels and receive the majority of its business thru online channels. It is the most visited legal firm in the Caribbean and a leader in collaborative divorce procedures in Latin America (Dominican Law allows for mutual consent divorce procedures that take less than a week). With over 110 social channels, and thousands of views across each channel, WDALAW brings legal information to clients across every major web destination. ePymes was the European Union’s small business portal created to bolster small business survival rates in the Dominican Republic. *ip was selected by Proempresa and ONFED, both EU projects, to design, develop, maintain and market this portal for the duration of the Proempresa program. Farmax is the largest pharmacy chain of the D.R. In this project, we created a clear online presence in which customers could easily locate the closest pharmacy, order online, keep track of new arrivals understand OTC policies and discover the best regional health sources online. UNESCO, The IDDI and ASONAHORES selected us to bring to life the most important catalog of artisanal creations in the region. Creative Hands is a compilation of all the hand-made creations still produced in the island and a digital directory of artisans that fosters e-commerce in the region. In a sense, Creative Hands was Etsy before Etsy. Infoled is the biggest collection of digitized body of law in Latin America. It houses legislation from 1844 to 2005 and provides categorization, instant search facilities, document bookmarking, and thematic indices in every major field of application of the law. The project was a direct collaboration among The Dominican Presidency, Funglode, Serigraf and Information Providers. As the first Government 2.0 site of the region and one of the first of Latin America, sb. gob.do is a sophisticated e-Government solution that puts financial information at the fingertips of scholars and international regulators. Copardom is the Federation of Dominican Workers. An entity that fights for the rights of those with less leverage. A true encyclopedia of legal and procedural information. Bringing this entity to the Internet for the first time was a major challenge and one that still bears its fruits. Legal codes, industry reports and key governmental milestones are shared in a website that is an icon in its sector. The website is fully maintained by the institution and it houses a live TV program, private membership areas and the national repository of workers’ confederation. Casa Mora is the top brand marketing to females en the D.R. *ip brought its catalog to life on the Internet by following our proprietary WADS methodology. The National Housing Bank, or BNV for its “Banco Nacional de la Vivienda” Spanish translation, is the authority in housing construction financing in the Dominican Republic. Information Providers, S.A. is a leading web development firm based in Dominican Republic. Using research-driven innovation, we create prominent web sites that have global impact. Information Providers has served clients such as AES Corporation, Carrefour, Dale Carnegie Training, Productivity Point International, Marsans Group, Pizzarelli, The Dominican Presidency, The Miss Universe Organization, UNESCO, Verizon and Xerox. *ip is the largest creator of e-Government websites in the Dominican Republic. Our productions for The Superintendencies of Banks, Securities and Pensions, The National Bank of Housing, The National Office of Industrial Property and the European Union thru their programs PROEMPRESA and ONFED, afforded *ip the necessary footprint to become a major eGovernment developer. Our Principal, Jordhy Ledesma is one of the most accomplished Latin American web producers, with a portfolio that has been viewed by millions across the globe, international certifications and respected thought leadership. He holds an MBA from the Darden Graduate School of Business and a Bachelors Degree in Systems Engineering from the Pontificia Universidad Católica Madre y Maestra. Our datacenter has hosted mission-critical websites and solutions for the likes of The Dominican Superintendence of Banks, Xerox Dominicana, Occidental Hotels, and hundreds of other distinguished customers. Our datacenters are state of the art with redundancies in Santo Domingo, Virginia and Texas. We also offer cloud solutions in partnership with Amazon EC2 and Digital Ocean. World Summit Award Nominees / Category: e-Government / Website: siv.gov.do. Organized by the United Nations, the World Summit Award is the most international and prestigious web development prize. 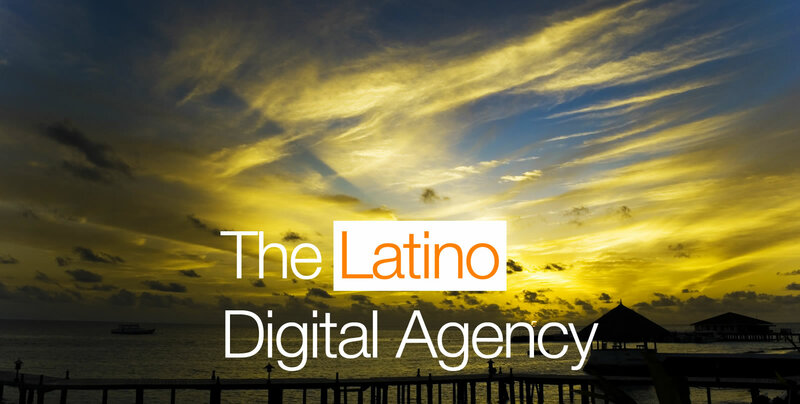 The Golden @ (Arroba de Oro) awards the most relevant websites of Latin America. Winners are selected by an international panel of distinguished judges. Information Providers is a web development firm that helps a multinational customer base target the Latino market. Founded in Santo Domingo, Dominican Republic in 2002, *ip is now in the process of establishing international offices. In 12 years, *ip has developed 216 websites that have hosted 85 million visitors.